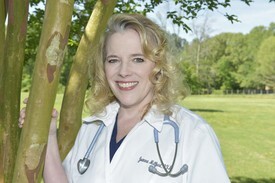 Our Doctors | Toney, AL | Family Pet Care Inc.
Dr. Jolley grew up in Limestone County and attended Elkmont High School. She attended Auburn University for undergraduate and Veterinary School, graduating in 1993 with Doctor of Veterinary Medicine Degree. After working in Huntsville as an associate veterinary for 8 years, she decided to come back “home” and opened Family Pet Care in 2001. She enjoys surgery, dermatology, ultrasonography and reproductive medicine. In her free time you will find her spending time with her husband, Tim and her two children, Justin and Jessi on Guntersville Lake in the summer boating and wakesurfing. She also enjoys traveling and doing photography as a hobby. 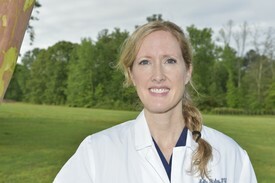 Dr. Milford graduated from Auburn University in 1993 with a Doctor of Veterinary Medicine Degree. She has been practicing medicine with Family Pet Care since 2003. Dr. Milford enjoys many aspects of veterinary medicine. Internal medicine, ultrasonography and the close doctor/owner/patient bond take the lead. Dr. Milford shares her home with her husband and 10 year old son, 4 dogs, 1 cat, many fish and a snake named Sarah. Her favorite hobbies outside of work include camping, hiking, reading and spending time with her family. 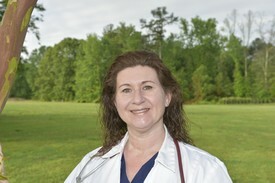 Dr. Shirley has been with Family Pet Care since she moved to the Huntsville area in 2010. She grew up in Kansas City and completed her undergraduate degree from The University of Kansas. She then attended the School of Veterinary Medicine at Kansas State University where she graduated in 2002. After graduation, she moved to Redding, California where she completed an internship in Small Animal Medicine and Surgery. Dr. Shirley's special interests include Internal Medicine, Dermatology and Radiology. In her spare time she enjoys traveling, baking, reading and running obstacle course races. She shares her home with her 6 year old son, husband and their 3 dogs. 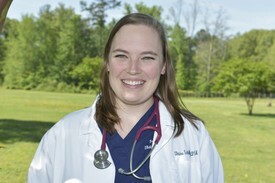 Dr. Schilling graduated from Auburn University’s College of Veterinary Medicine in 2015. She grew up in Huntsville and attended Mississippi State University to earn her Bachelor’s degree in Animal and Dairy Science. She has worked at Family Pet Car since obtaining her Doctorate of Veterinary Medicine degree. Dr. Schilling enjoys all aspects of veterinary medicine, but has a special interest in dermatology, neurology and surgery. She enjoys working closely with clients to provide the best care for their pets. In her free time she enjoys spending time with her husband, Brian and their daughter, Winnie. She shares her home with a dog, Marko and a cat, Arby. In her spare time she enjoys hiking, crafting and traveling.